In May 2000 he gave the keynote address at the United Nations on its first official celebration of Vesak (the day of the Buddha’s birth, enlightenment, and passing away). 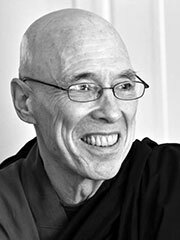 He returned to the U.S. in 2002 and since July 2002 has been living and teaching at Bodhi Monastery. He is currently the president of the Sangha Council of Bodhi Monastery and the chairman of Yin Shun Foundation.